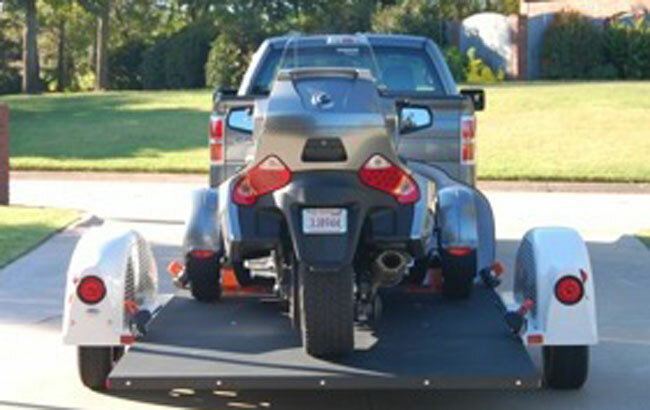 Air-lowering, air-raising wide-bed trailers make loading safe and easy for motorcycles, motorcycle trikes, Can-Am Spyders, Polaris Slingshots, and more. Call us at (800) 499-1694. 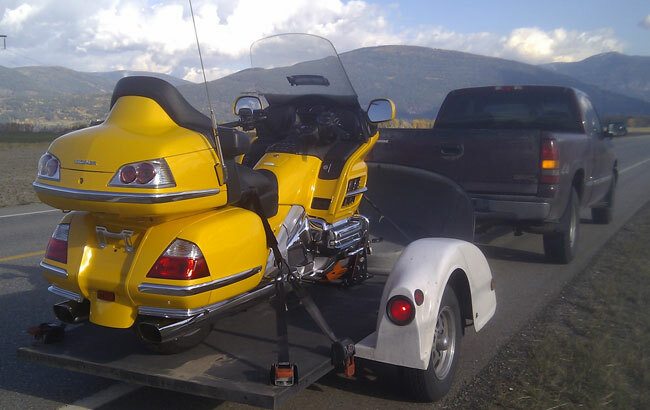 TUT open hauling trailers come in varieties to accommodate single motorcycles, dual touring bikes, Can-Am Spyders, Polaris Slingshots and nearly any size power sports vehicle you intend to carry. 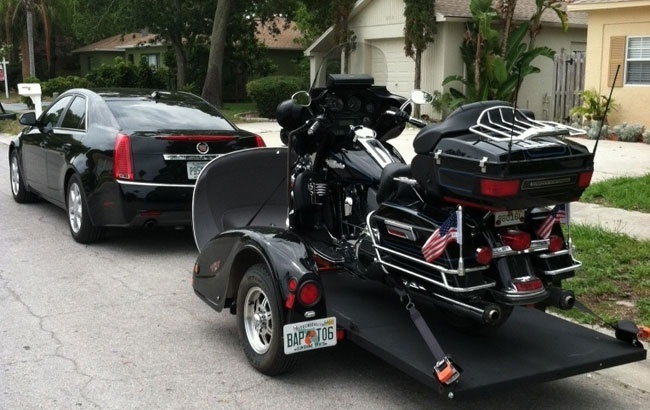 Of course, your new air-ride trailer will also be able to haul plenty of other things, such as: riding lawn mowers, sporting equipment, camping equipment, bicycles, scooters, etc. More below …. The more information your provide, the more helpful we can be. 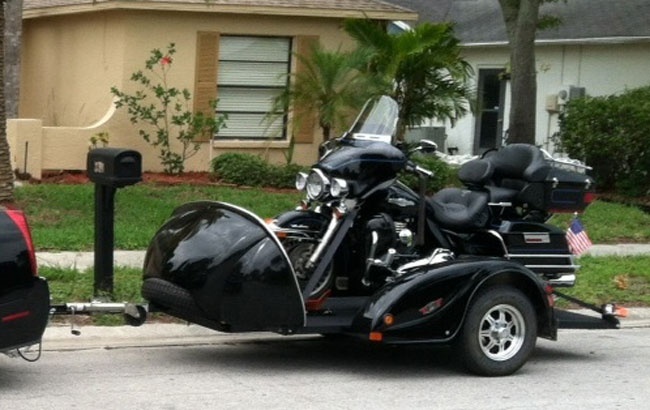 2 narrow motorcycles, or 2 scooters. 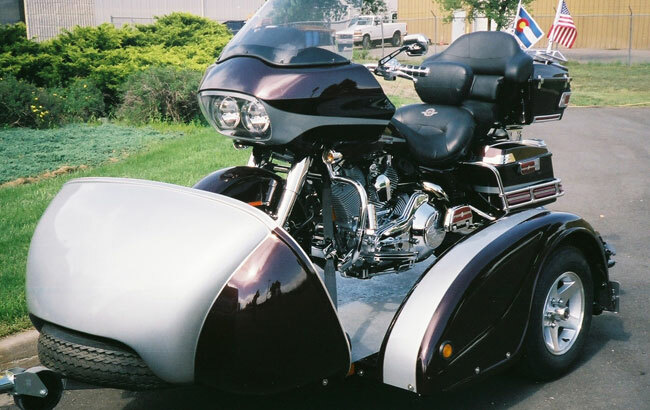 1 standard motorcycle trike (up to 70” wide). 1 Polaris Slingshot, or Vander Hal. 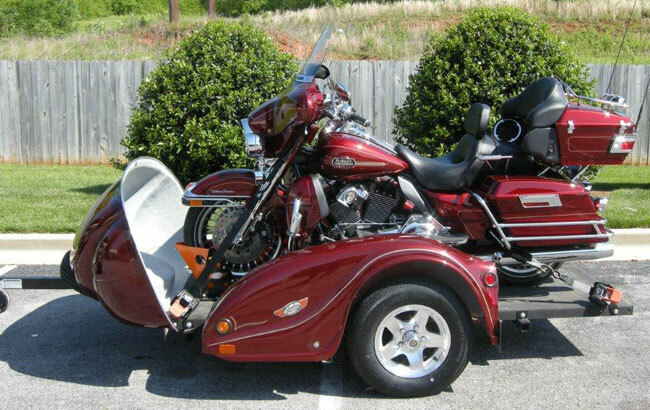 1 wide motorcycle trike (up to 81” wide). 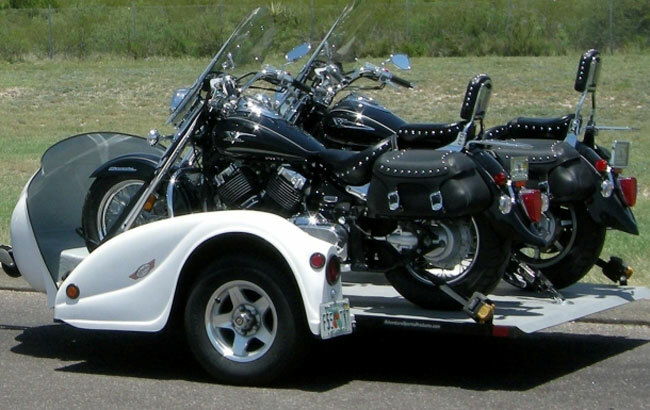 Your trailer may be picked up at our Arvada, CO facility or shipped to a dealer near you. OHT1 & OHT3 ship for a flat rate of $850. OHT4 may incur additional expenses (depending on your shipping zone). Tie-down package. Additional wheel-capture chocks are $175/ea. 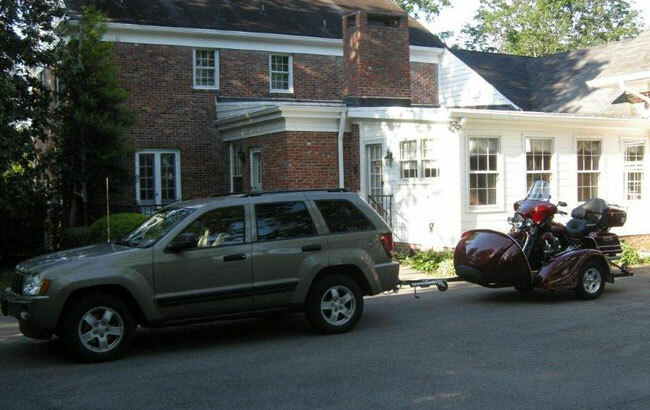 Load Carrying Capacity … 1,500 lbs. * shortest dimension achieved by folding up rear deck and removing tongue and AeroRock shield. 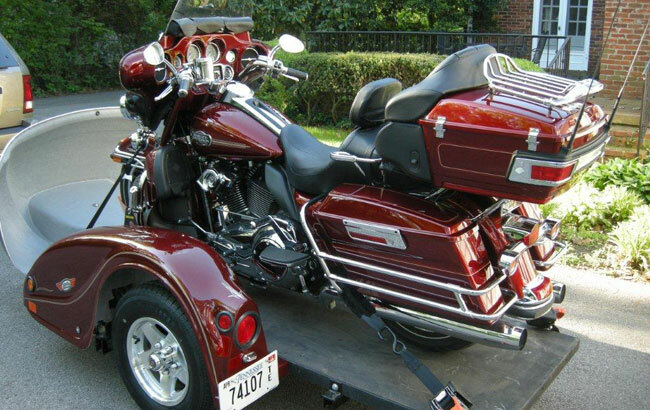 Load Carrying Capacity … 2,000 lbs. © 2018 The Ultimate Trailer. All content on this site is copyrighted and may not be used without signed consent from an authorized employee or representative of The Ultimate Trailer company.